← Can mobile ever match online as a payment method? Data is everything – it is the basis for all the best decisions and its accuracy can make or break a marketing campaign or strategy. But there is often confusion over the types of data available to marketers and what data is required to make the most from mobile marketing. To make things clear, let’s consider the recent Bango partnership announced by comScore at CTIA at the start of October – see http://bit.ly/bAksNw for details. Both companies provide market leading information, but how does that information differ and why does the partnership provide an important, complete picture? Bango Analytics provides deep, detailed information about your specific mobile activities. It measures the success of your mobile marketing campaigns, applications and websites. It provides information about the return on your marketing investment and gives a detailed understanding about your long term customer engagement. It provides all this information in real-time. Bango Analytics uses familiar techniques for measuring websites, apps and campaigns, including image tags, URL redirection and application SDKs. Data collected is enriched using a variety of technologies and industry partnerships to ensure the most accurate and complete data. In contrast comScore provides broad industry metrics across the market that helps agencies, publishers and marketers to craft successful mobile marketing, sales and product strategies. 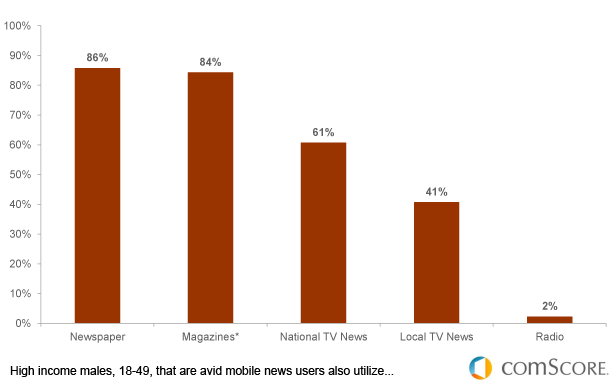 It helps advertisers understand the audience opportunity and reach offered by publishers. comScore uses a combination of audience surveys, panels and page tagging technology, along with complex processing to deliver an accurate picture of the market. Why Bango and comScore is greater than the sum of the parts? With the combination of the industry’s most accurate mobile analytics and the broadest market metrics, publishers can understand the true value of their websites and applications, within the context of their market and effectively communicate that opportunity to advertisers and agencies. Secondly, advertisers and agencies can clearly understand their marketing opportunities and effectively target campaigns using comScore, and then see real-time, independent reports that confirm the success of those campaigns with Bango Analytics. Lastly by combining Bango with comScore you automatically benefit from Bango’s enhanced visitor identification technology. The Bango User ID is a unified, server-based, anonymised identity to provide a significantly higher degree of accuracy than solutions that rely on cookies, IP addresses or handset based identification alone. 3. And you are ready – Bango Analytics now records all your detailed analytics information ready for analysis and automatically passes detailed visitor metric information to comScore for audience analysis. Bango ensures just one, quick and efficient tag needs to be integrated in order to get the most complete picture possible. This entry was posted in mobile web and tagged mobile advertising, mobile analytics, mobile marketing. Bookmark the permalink.